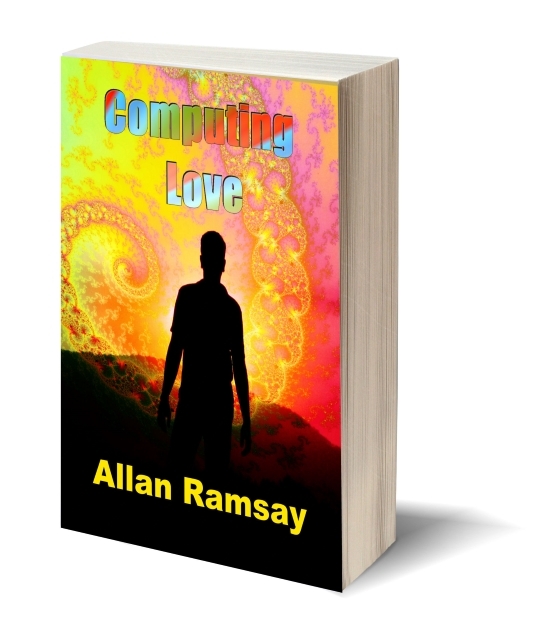 Computing Love is a visionary novel inspired by A Course in Miracles. It tells the story of a scientist, Kyle Williams, who is transformed by visitations and guidance from two spiritual mentors. They invade his dreams, his home and his life, setting him on a path he cannot understand, declaring that his very life is an illusion. The greatest threats any story can depict are those brought about by the predilections and actions of our fellow humans. Computing Love’s characters struggle to overcome those perils using strategies that often seem bizarre and ill-suited in a world so filled with worry, danger and fear. However, they spring from the very principles the Course teaches. Kyle and his friends show how one can live by its tenets, even while outside influences seem to demand they do battle for their lives. Filled with romance and love in its many incarnations, Computing Love celebrates the creative imagination and the inconceivable power of love. Set in the 2030s, it brushes against the edges of science fiction while exploring spirituality and the deepest levels of the human mind. Like the timeless wisdom that inspired it, Computing Love illuminates our world of duality and shows that love is the only creative force in the universe. ​​It’s the year 2032. Physicist and computer scientist Kyle Williams discovers a technology that will birth the world’s first quantum super computer; one that utilizes the entire Internet as its foundation and solves problems that have plagued mankind for centuries. He barely gets started when a blood-curdling nightmare pushes him to the edge of death. He awakens in darkness to find two characters from his nightmare have invaded his home—a man and a woman who claim to be spiritual mentors bent on helping him. They send him on a mission even more extraordinary than the bizarre world of quantum computing. It’s an exploration that can reveal ancient secrets from before time began, and can bring mankind to eternal joy, peace and Love. If he fails, the unholy trinity of sin, guilt and fear will rule the world, promising only illusion, misery and death. Kyle and his team battle threats that promise to condemn mankind to a bloodbath of fear—until mysterious effects begin rippling through the universe and encircle the planet. Kyle plunges into a race against time, setting the quantum system on a formidable mission to compute Love, and to lead the world to a new understanding of Reality. This thought-provoking psychological thriller begins on the sands of West Palm Beach, moves across the Atlantic to Switzerland and into the French Pyrenees; and then, to the deepest realms of the mind as Kyle struggles to learn, one painful step at a time, that Love plays the most important role in the universe. But first, he must succeed at computing Love. This is a story of discovering what Love truly is and learning to remove the blocks we erect against it—a story that re-defines how life can be lived. If you’re a follower of A Course in Miracles, this is for you. If you enjoy romance, tech, computers or sci-fi, it’s for you too. 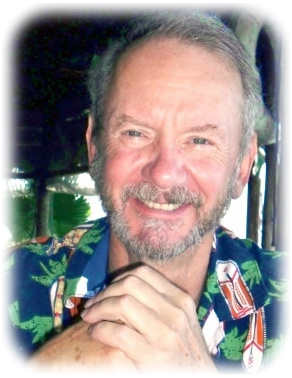 *Allan Ramsay has blended a thirty-year career in technology sales and marketing with his avocation: communication through writing. More than 500 pieces of his work, mostly non-fiction, now have homes in print and at websites around the world. After a years-long diet of metaphysical reading beginning in the 1970s, A Course in Miracles revealed itself to him in 2000. He wrote Computing Love based on that revelation, hoping to attract readers of speculative fiction into the Course—people who otherwise might never learn of it.